A continuation from our visit to Arlington National Cemetery on March 19, 2015….. If you’ve never been to the Washington, D.C. area (or, if you’re ANYTHING like me, if you have lived in the area for several years and still didn’t take the time to play tourist lol), then you might not know about this amazing piece of history. Amazing shot, right? See the rainbow??? 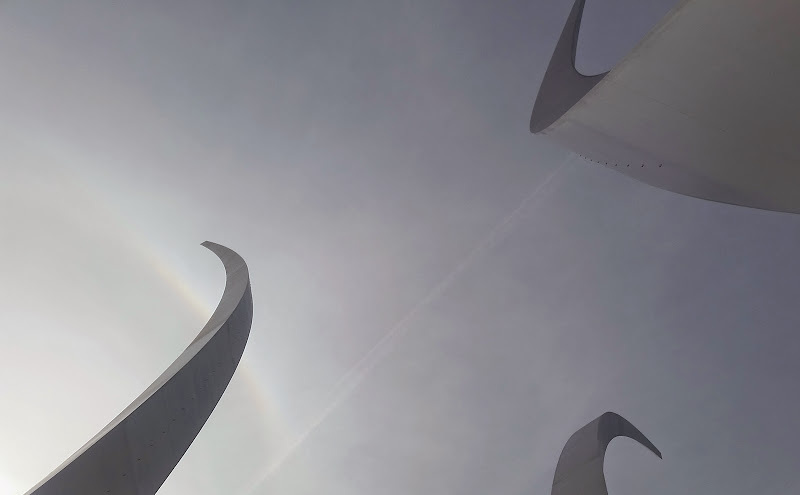 The design of the Air Force Memorial symbolizes flight and the flying spirit with three stainless steel spires that soar 270 feet high and represent contrails of the Air Force Thunderbirds as they disperse in a “bomb burst” maneuver. 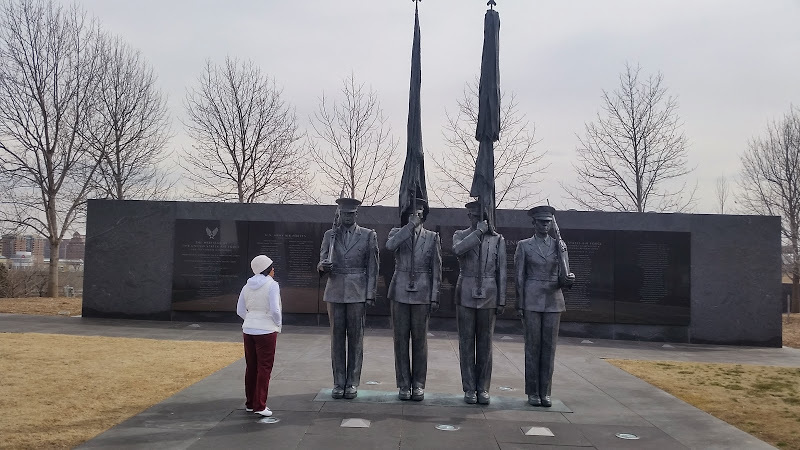 Annnnnnnd….we have yours truly (lil ol’ moi) staring up at the Honor Guard sculpture, which is in the same vicinity as the memorial. Thankfully, the rain had let up long enough for us to enjoy this beautiful moment! In all the years I lived in the metro D.C. area (9 years), I had absolutely NO IDEA what this artwork was. Sad, huh?! HOWEVER, I was VERY pleased to have finally made it. Very nice tribute to the men women this memorial represents! To learn more about the memorial, visit here. To learn more about the sculpture, visit here. Both make for very interesting reading.